As a recovering perfectionist and now a parent coach, I am all too familiar with how perfectionism chokes out the joy and connection in families. Perfectionism is like a measuring stick that grows taller the closer we stand to it. The taller it gets, the higher the standards. This leads to increasing discouragement and shame. If this is our norm, then the morphing measuring stick multiplies into a measuring stick for each of our children. And, perhaps, even our spouse! A parent who feels they can never measure up almost always raises children who feel like they themselves can never measure up. Perfectionism isn’t just an emotional issue, it’s a deeply spiritual issue. The Apostle Paul patiently corrected messed up, even immoral, believers. His angriest words, however, were to those in Galatia who were hooked on “getting it right” – attaining righteousness by perfectly following rules. I viewed our whole extended family as very influential, well-respected and “having it all together.” They all looked shiny. Except me. I was the mess! I knew my mom and dad loved me but I didn’t know if they actually liked me or if I was just a problem that needed to be fixed …“too sensitive,” “too complicated,” “too deep,” “annoying.” I was a bundle of anxiety just trying to measure up and prove I wasn’t a mess. I always thought I was failing God miserably, and maybe wasn’t even a Christian because I couldn’t ever measure up to perfection. Becoming a parent multiplied this anxiety and striving. Every time I messed up, or especially when my girls messed up, I felt an overwhelming sense of failure and deep sadness. I so badly wanted God’s (and people’s) approval…just someone to tell me that I was ok!!! I was enough!! Through workshops and coaching Nicole began to receive and understand the Connected Families messages for herself, as if God was telling her, “You are safe with Me, and you are loved no matter what.” She finally knew it in her soul. She was ENOUGH. I no longer feel like God is constantly and deeply disappointed in me. God has made it so very clear to me that He sees me through the righteousness and perfection of Jesus. As Nicole basked in that truth she also realized she was called, capable and responsible to change the hurtful messages she was unintentionally sending to her girls. She dove into parent coaching with eagerness and vulnerability – no more passing her anxiety and shame on to her girls through critical, condescending parenting that communicated, “You are a problem. You are not enough.” What a difference it made! I now understand that each mess we experience brings the opportunity to grow in God’s grace through Jesus! The pressure is off to be perfect in order to be “ok” and that allows for SUCH freedom!! As grace transformed her family’s conflicts, worship and serving became a natural expression of their growing identity and joy in Christ. I desire to teach my girls who they are in Jesus! To affirm them!! Our girls bring us such joy now. All of this is a work of the Holy Spirit, and I continue to ask God to pour out His Holy Spirit on our family. 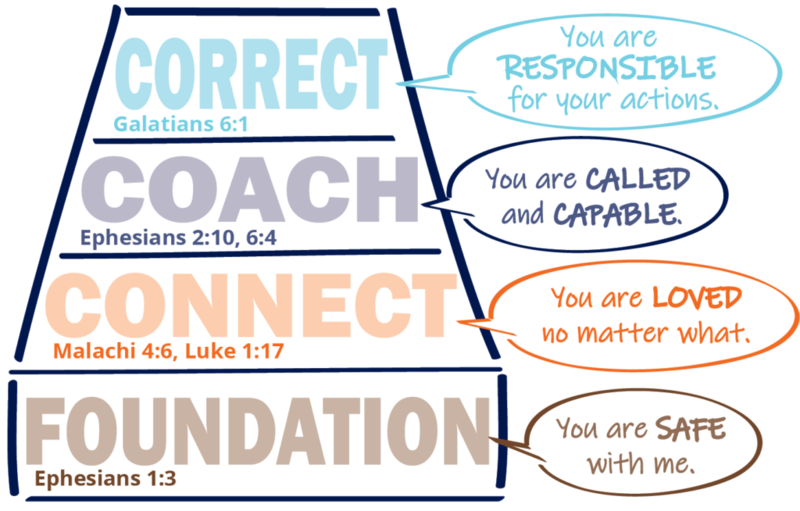 I think families that seem to have it all together might need the Connected Families messages the most! Are other shiny families (like mine growing up) missing the messages that their kids are truly receiving from them? We have such an incredible opportunity to share the Gospel with our kids in ways that truly reach their hearts! This Easter, let your gaze rest on Jesus Christ who was clearly portrayed as crucified – for you! 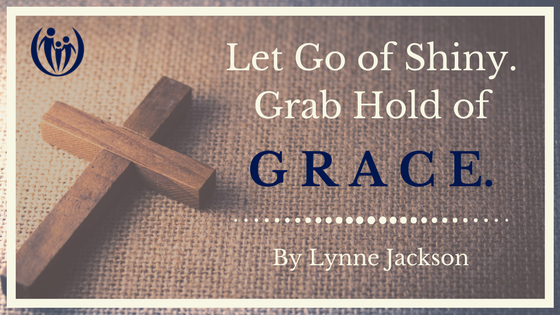 Let that crucifixion take all your shame, the hard-to-forget horrible parenting moments and hurtful words, and wash them away in a flood of the forgiveness that flows from the cross. Then you can confidently receive God’s grace to begin to change your parenting. Your problems are opportunities to display God’s grace and power. Through Jesus’ work on the cross – you are ENOUGH! May you receive and pass on to your children these profound messages of God’s wonderful grace and truth! *we share this story with permission, but have changed names. ← Does Your Child Need Chemicals to do Chores?